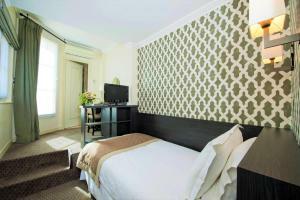 This hotel is situated in Paris’ Left Bank, 350 metres from Notre Dame Cathedral and a 25-minute walk from the Louvre and the Musée d’Orsay museums. 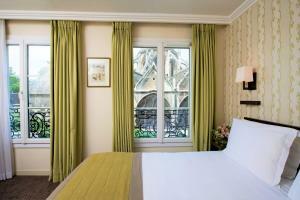 Some rooms feature views over the cathedral. 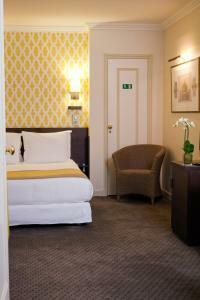 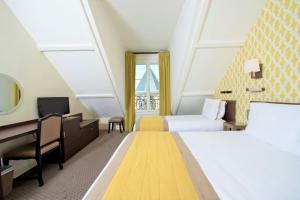 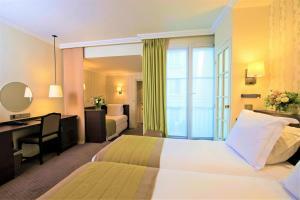 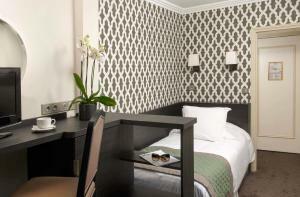 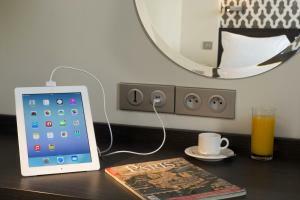 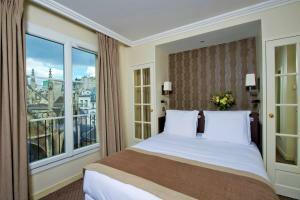 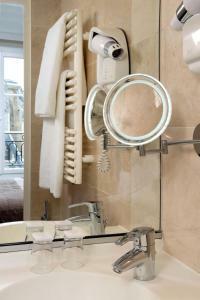 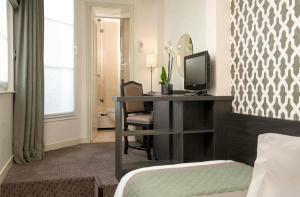 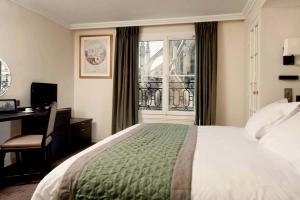 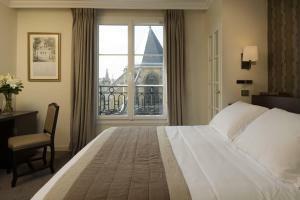 Each room at the Hôtel Henri 4 has a TV with satellite channels, a minibar and air conditioning. 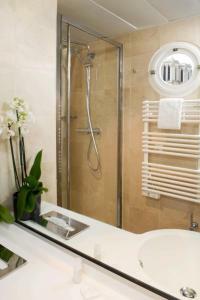 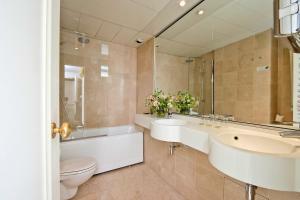 The en suite bathroom features a bathtub and free toiletries. 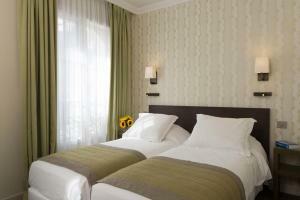 In the morning guests can choose to order a continental breakfast or a buffet breakfast. 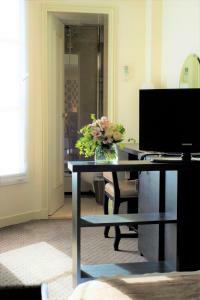 This can be taken in the breakfast room, the terrace or in guests’ rooms. 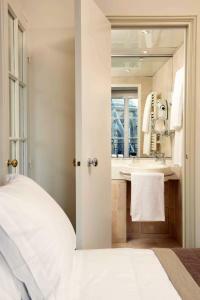 Located between Saint-Michel and Saint-Germain boulevards, 2 of the most famous and lively streets in the French capital, this charming hotel welcomes you in an authentic decor from the 17th century with elegant furnishings and a fireplace. 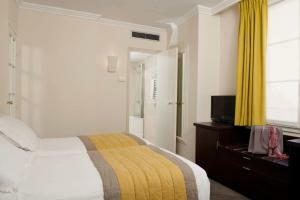 Air-conditioned room with a minibar and a flat-screen TV with satellite channels. 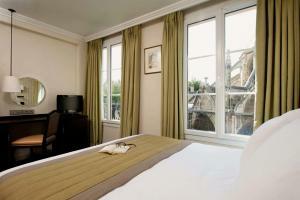 Depending on availability, a balcony is also possible. 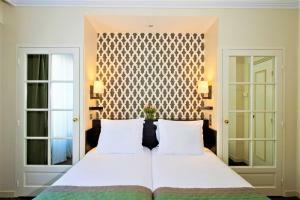 Rate: € 135.00 ... € 290.00; select dates below to get current rates.